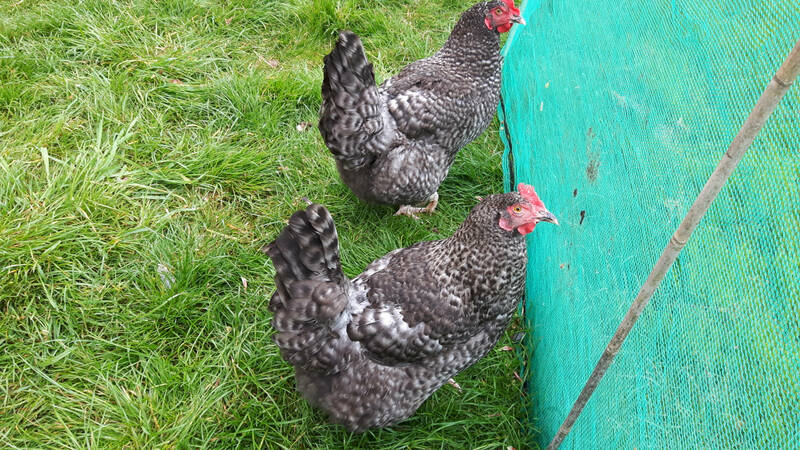 We had always intended to get a few chickens in our first year and see how we got on, maybe even get a cockerel later on. 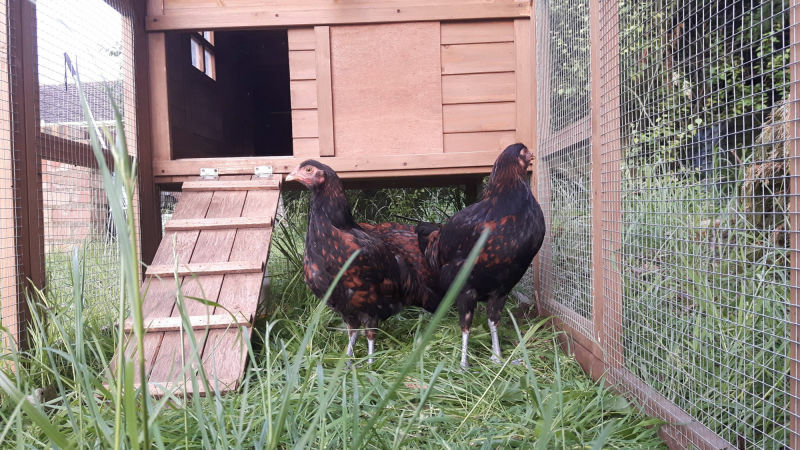 We would have had chickens in our last place but we figured at the time that moving with cats and fish over a long distance would be hard enough and I'm not keen on the idea of rehoming based on a house move. 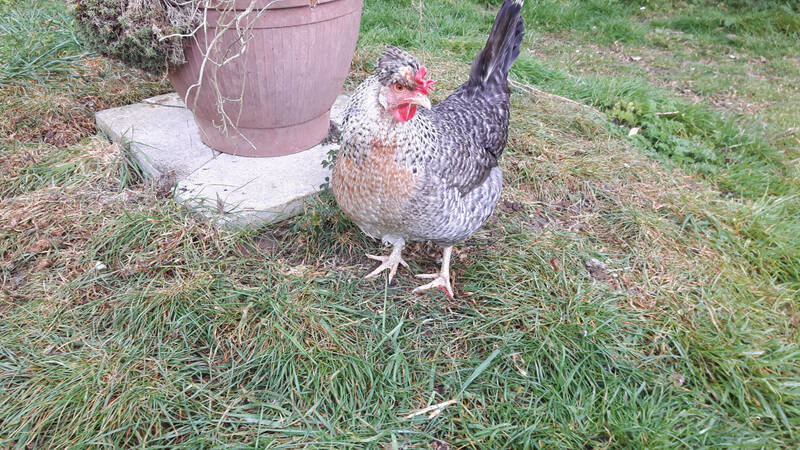 We figured we would get the chickens in the spring at POL, but when our neighbour offered us free geese and said 'there's a cockerel too, you can have him as well'' we suddenly became chicken owners. 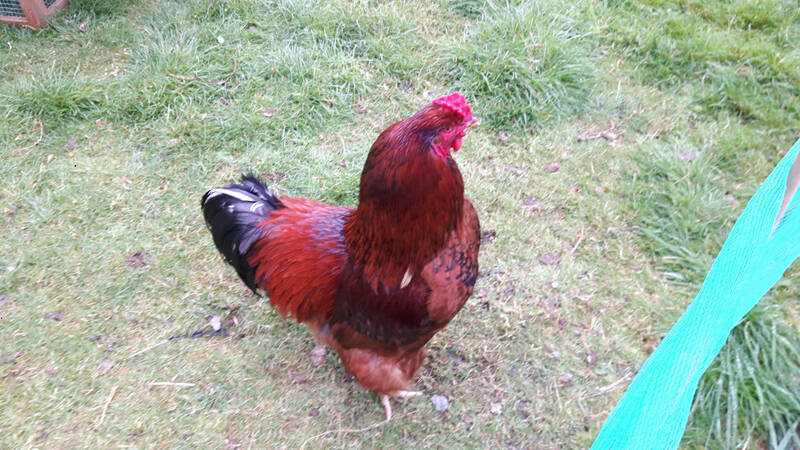 Aramis as he is now known is a Heinz 57, a lovely tempered large boy with slightly feathered legs. If anyone has any ideas about what breeds make up his mix please give us a email. It soon appeared that he was very lonely. The geese picked on him so we brought him into the back garden and made a house but he just spent the whole day crowing at the backdoor unless you were out there with him. Thus our quest for some hens started in ernest! 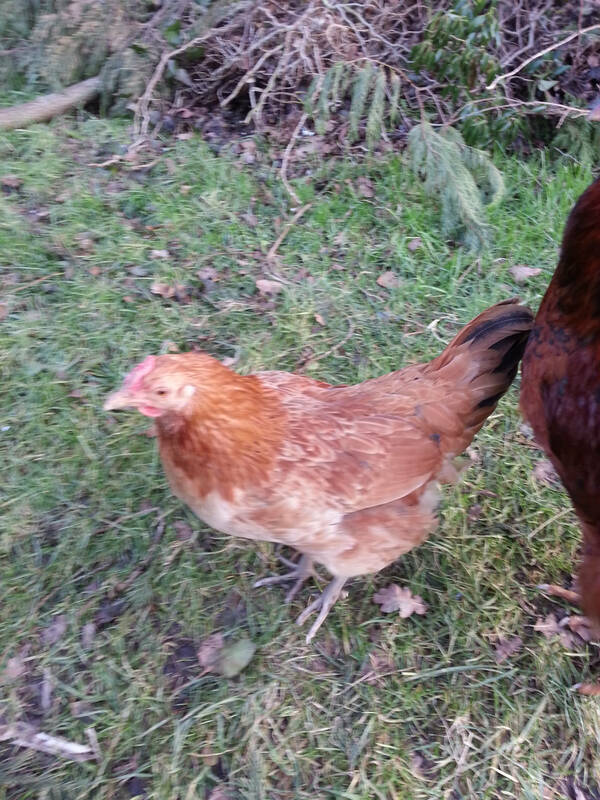 Mid Feb isn't a great time to find POL hens but a local breeder was sorting out her pens for the new season and was able to help us out. We started with 1 Norfolk Grey (Mikoto), 2 Cream Legbars (Awen and Annie) and 2 Brown Marsh Daisies (Aurora and Alice). 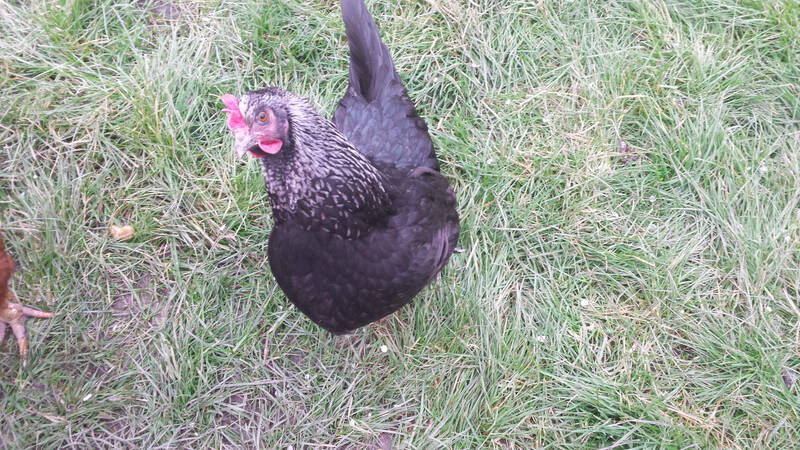 Since then wehave bought in more chickens, hatched some of our own chicks and taken in more 'strays'. 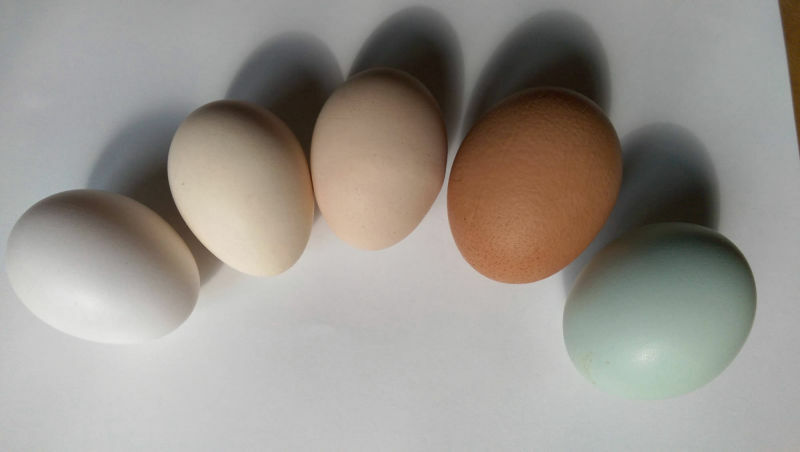 Our hen breeds include Norfolk Grey, Cream Legbar, Brown Marsh Daisy, White Leghorn, Derbyshire Redcap, Copper Black Maran, Rhode Island Red and some hybrids/unknowns. A grand total of 36 hens and 2 cockerels. There will be more details about the different breeds of chickens on thier individual pages, but these are still under construction.